Our new VOLLEY ELITE FF shoe is a top of the range indoor shoe with all the bells and whistles. 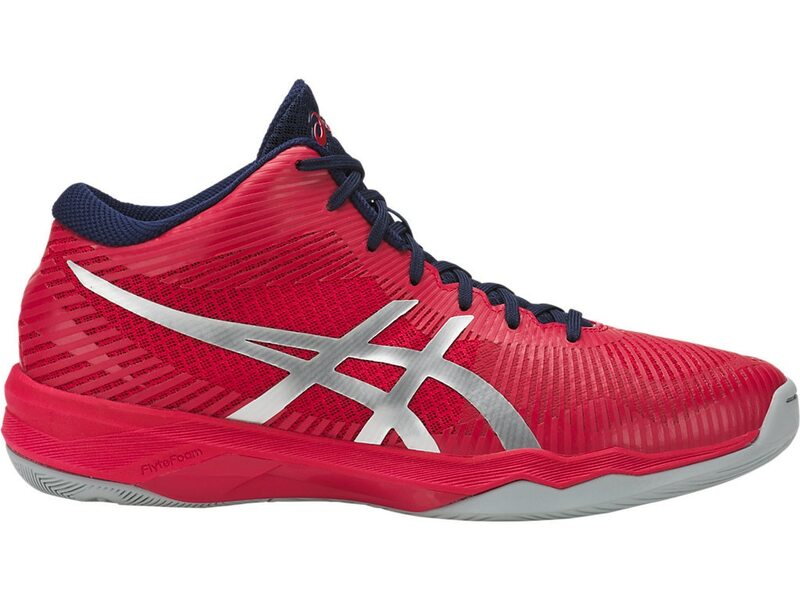 It is primarily developed as a volleyball shoe, however, easily adapt to a range of indoor sports, focusing on grip, comfort and ease of direction. It features our new FlyteFoam Midsole Technology, allowing for a dramatic reduction of weight, and quick energy return. The outsole rubber is wrapped, and offers optimum flexibility for quick transition movement. Attenuates shock during impact phase: attenuates shock during impact and toe-off phases, and allows movement in multiple planes as the foot transitions through the gait cycle.